The estuary of any river is often a bleak and moody place, where sea and river merge, and the Thames is no exception. The exhibition Estuary (until 27 Oct) at the Museum of London in Docklands celebrates the museum’s first decade, and if you haven’t yet seen this offshoot of the London Wall museum, it is definitely worth a visit. Set in the heart of the Docklands, in an old warehouse conveniently close to Canary Wharf, it tells the story of the city and its relationship to the sea in a series of engaging displays. This is an appropriate subject for its first art exhibition, although awkward hanging doesn’t always allow sufficient room for paintings and some exhibits are more eco than art. 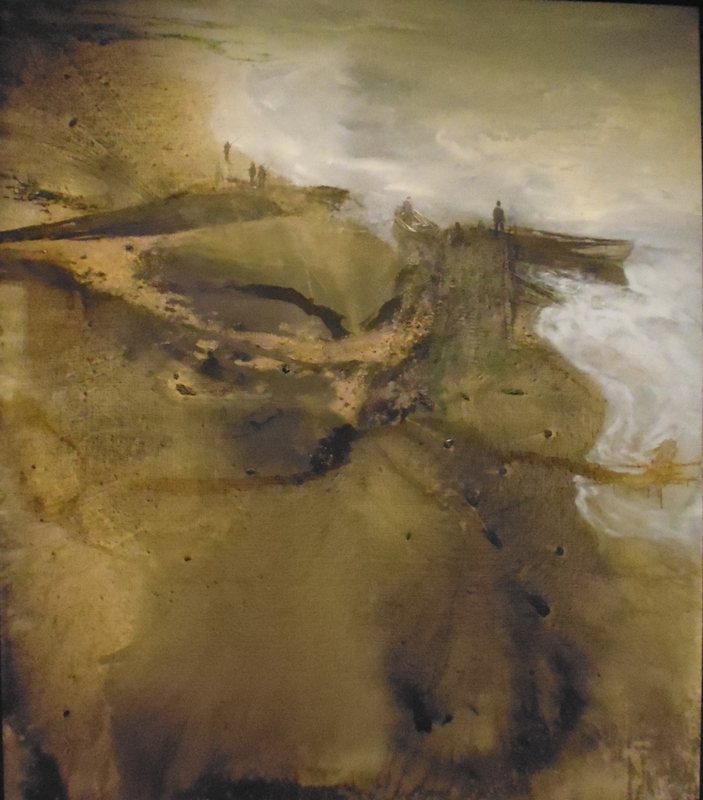 My favourite was Michael Andrews’ huge oil of the Thames estuary that seems to dissolve as you look at it, but there are striking films of the rising tide, of the changing moods of the sea and of the intriguing Maunsell forts that still stand like alien warships in the river. It’s a small show, but one that captures this no-man’s land very evocatively.